he Western Wall is the last remaining, visible piece of the 2nd Temple built by Herod the Great. For this reason, it is revered as a holy place by the Jewish people. 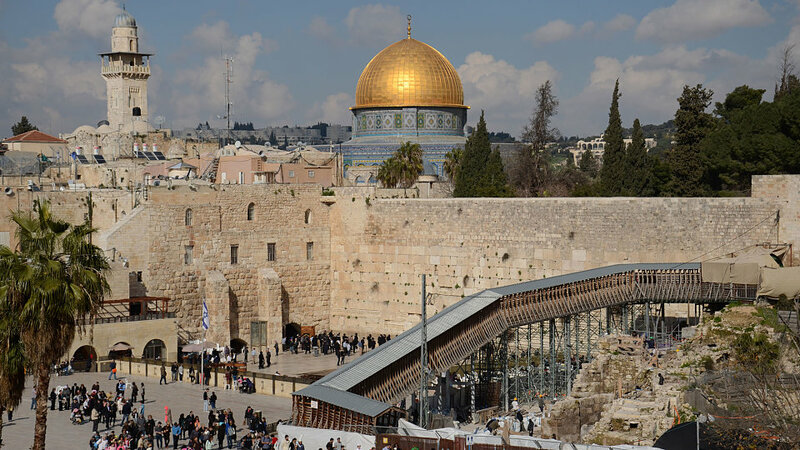 The Western Wall is dedicated by the Jews as a place of prayer. It reminds one of the Lord's prayer in Matthew 6. John Bunyan defines prayer as the sincere, sensible, affectionate pouring out of the heart and soul to God, through Christ, in the strength and assistance of the Holy Spirit, for such things as God has promised, or according to His Word, for the good of the church, with submission in faith to the will of God.